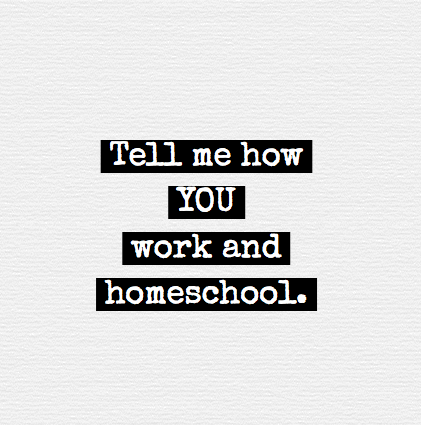 At the end of How to Work and Homeschool, I invite readers to share their experiences as working homeschool parents. I am serious about that invitation because I want to hear diverse perspectives and experiences on the topic. • Leave a comment on my Facebook page. Keep in mind that your responses may (or may not) appear in my future writings on the topic.